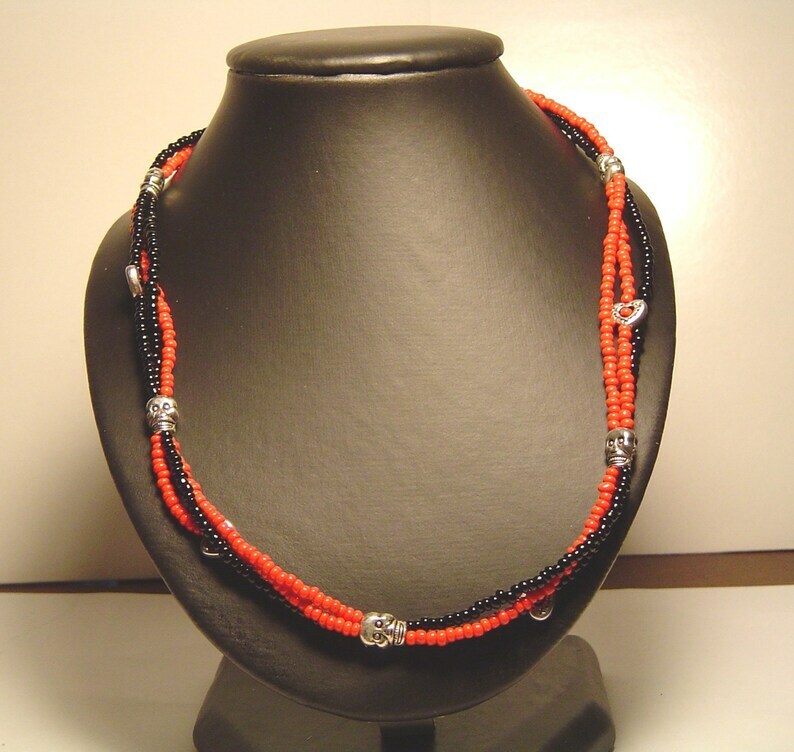 This sead and metal bead necklace is for someone who appreciates the paradox. Metal skulls and little metal hearts live happily amongst the red and black seed beads. The necklace has 3 seperate strands interwoven into the hearts and through the skulls. It measures approximately 17 1/2 inches and it is closed with a rotary clasp.